Papelbon for Pivetta: good trade, bad karma? So, by now we’ve all heard the news. The Nats acquired disgruntled Phillies closer Jonathan Papelbon for 2013 4th rounder Nick Pivetta, newly promoted to AA. On the plus side, the Phillies pick up all of his remaining 2015 salary (roughly $4.5M), and Papelbon pre-negotiated his 2016 option at a slightly lower figure ($11M with $3M deferred). This is no 2-month rental; this is a strategic decision to go with him for the next two years. So in that respect, what the Nats get versus what they gave up is pretty durn good. Pivetta is a decent prospect who had a great first half for Potomac and just earned a promotion to AA (where he’s gotten hit around a bit in his first couple of starts). But in terms of what the team is giving up, Pivetta is a “minor prospect” (mostly on the outside of our top 10 lists) and is perhaps no better than 13th or so on our starter depth chart (just off the top of my head, Scherzer, Strasburg, Zimmermann, Fister, Gonzalez, Ross, Roark, Cole, Jordan, Hill, Treinen, Espino, Voth and Giolito ahead of him), so the Nats trade from a surplus/depth for a position of need. As a side-effect of the acquisition, AAA catcher Dan Butler was DFA’d to make room on the 40-man roster. Butler has been struggling in AAA and may pass through waivers, but if he doesn’t suddenly the Nats have zero catcher depth on the active roster. So that’s a risk i’m surprised they took (if it were me, I could have named several other guys I would have risked versus Butler first). My concern with this deal is more on the non-quantifiable side. What message does this send to your team? Drew Storen has been *excellent* this year, has remade his mechanics and (as noted elsewhere) has the 2nd best ERA of any reliever in the game over the last two years. He’s been just as good a closer as Papelbon this year, and for his troubles gets demoted out of the closer spot. Storen’s future compensation is *directly* tied to the number of saves (however arbitrary and useless that statistic may be) he earns, and now the team has told him “hey, we know you’ve been awesome but too bad you’re no longer going to have the opportunity to earn saves and therefore we’ll argue against you in arbitration to that end.” Its no wonder Storen was immediately quoted as wanting to “explore his options” with his representation. Lets also just say that it would not surprise this observer in the least if Storen’s performance fell off a cliff in the coming months. You can argue that winning creates clubhouse chemistry; that’s your perogative. You can talk about how the old Yankees “25 men, 25 cabs” had no problem winning and you can disclaim the chemistry factors that seemed to be in play with recent teams like the 2013 Red Sox or last year’s Royals. Fair enough. You can make the argument that these guys are all highly paid and should just accept whatever role is given to them … but lets be honest here; MLB players are human, they have egos, and (especially in the case of a reliever) they want to be the closer. More to the point, when they do everything management asks of them and still get replaced, its hard not to blame them for being disgruntled. This isn’t like when the Nats demoted John Lannan: Storen didn’t get beat out in spring training; he’s been absolutely stellar for the past two years. Is this yet another reaction to Storen’s post-season record? Lets all say it together: “short sample sizes.” Storen has a grand total of 5 1/3 post-season innings. Papelbon’s numbers in the post season are great (a 1.00 ERA in 27 innings), but he hasn’t pitched in October in 6 years. Clayton Kershaw has a 5+ ERA in the post-season and nobody’s talking about replacing him. You look for excellence in the regular season and hope it plays out in the post-season. I would have much preferred the team find some middle-to-later innings relievers to strengthen things in the 7th and 8th innings and not upset what Storen has established. But it isn’t my team. I just hope Storen can take the high road (much like Tanner Roark has been forced to do) and goes back to being a team player. Mark Zuckerman talks about how this trade is more about Storen than Papelbon. Jeff Sullivan sarcastically talks about how the Nats have “rewarded” Storen’s breakout performance. Ken Rosenthal noted that, despite the Nats being 46-0 this year when leading after 8 innings, decided they needed to change the closer. Keith Law, who hates any trade for a reliever, reviews what the Phillies are getting in Pivetta. Post-publishing update: Joe Posnanski wrote a column 2 weeks onward, crucifying Rizzo and this trade (calling it “The Worst trade of the Season”) for its intangible impact on the team, echoing many of the same sentiments expressed here. Back in the day, (no this isn’t a “get off my lawn” post), once you got to high school age as a baseball player, you had just two choices for summer ball once the high school season was done; you’d either play Legion ball (if they were the elite of the town) or Babe Ruth (which was still pretty good baseball), and scouts would generally depend on scouting high school and Legion games and to hang out with high school coaches to figure out who the draftable talents were. These days, every kid of note hoping for a Division 1 scholarship or pro interest out of high school plays on a travel team. These same players also go to Showcase events throughout the year, either by invitation (for the best of the best) or on their own dime, where scouts can see players in a “combine” like setting and gauge their skills in a relatively controlled environment. More and more, the actual performance in HS is downgraded or ignored and performances in these elite events is highlighted, since the opponent skill levels are so elevated and consistent. This move has badly hurt Legion ball and has decimated Babe Ruth (here locally leagues have had to combine with other towns just to field enough teams to compete, and they struggle to find enough pitching to make the games competitive), but its the way of the future. When you try to track prep kids (as I’ve begun to do more and more), you constantly hear about these teams and these events. So I’ve finally broken down and tried to summarize them for the local area as best as I can. 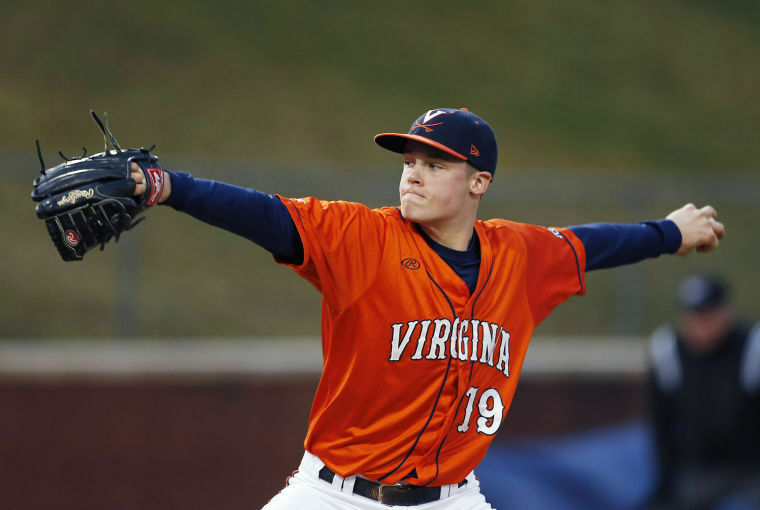 This is my attempt to characterize the landscape of Travel Baseball in the DC/MD/VA area. A ton of this is drawn from participation in the recent Perfect Game Wood Bat 17-U championships, so I likely am missing teams that did not participate. If you come across this post and i’m missing your team, please comment as such. Evoshield Canes: Based in Fredericksburg, VA with “outposts” up and down the east-coast. This franchise is huge, fielding multiple teams at the latest WWBA event. One of the leading talent teams in the land, winner of recent national travel team championships. Stars Showcase Red (formerly Demarini Stars): Based in Oakton, Va. Also large enough to field multiple teams in national events. Chandler World: based out of Norristown PA but with a couple local players of note for 2015. The Dirtbags All-Blacks: based just across the border in North Carolina, but draws players from southern and SW Virginia. Richmond Braves National: based in Richmond. Virginia Cardinals; based in Midlothian, VA. The best of the Richmond area players. Diamond Elite 17U: Ashburn; was independent, now joined with Evoshield Canes as one of their off-spring. Comprised mostly of Ashburn/Leesburg guys from leading high schools out there like Stone Bridge. RISE Baseball Midlothian VA: ; not at WWBA 17u. Arena STARZ 17U out of Bel Air, MD. Lots of Battlefield players on this roster despite its geographic location. CBA Rays: Chesapeake based, mostly from Chesapeake-based high schools Greenbrier Christian, Great Bridge and Grassfield. Not at WWBA 17u. Baltimore Bandits 17u: travel team run out of Calvert Hall HS in Baltimore. Not at WWBA 17u. Old Dominion Hitters: some D-I talent, not at WWBA 17u. Perfect Game National Showcase player roster, Mid June 2015 Ft. Myers FL. Just a combine of sorts. USA Baseball Tournament of Stars roster, Mid June 2015 Cary NC. Fake teams created for scouting purposes. 17U Perfect Game World Series, July 17-22 in AZ. Evoshield only local team; they fell in pool play. The team that won WWBA came in 3rd; won by a team from Orlando. Impact 17U World Series, North Carolina; July 21-26, 2015. A good local tourney with lots of east coast teams, just won by the Richmond Braves 16U team (a bit of a statement, beating a bunch of 17u teams). East Coast Pro Showcase (End of July); Tampa, FL. Rosters here, with a few local kids. Area Code Games, Aug 4th-9th, 2015 Long Beach, CA. Metropolitan Baseball Classic (Aug 24th at Hofstra in New York): aka “Met Ball,” put on by the Mets and featuring showcase talent from the area plus a couple of travel teams. Slowly becoming a must-visit. Evoshield and Chandler World competed, along with local guys. WWBA World Championships in Jupiter, FL, Oct 22-26, 2015 (aka the “Jupiter” event). Won by Evoshield Canes for the third straight year, powering through the field, beating the strong Marucci team in the semis and then facing their 17-U team in the final. Quite a show of dominance for the Evoshield program at this event. Several “Breakthrough Series” events throughout the country (Cincinnati, Florida, Compton) throughout the summer; lesser showcases. Perfectgame.org is *the* website for these kinds of things. At PG’s events, all the teams, with their full rosters of players with home towns and college commits, are online and viewable. Very good information if you’re interested in (say) one particular team’s roster of players. American Legion: Regionals this year are in Leesburg (presumably at Fireman’s field in Purcellville). Nationals are Shelby, NC Aug 13th-18th. Babe Ruth: Regionals in various spots by age group, World Series in various locations by age. Connie Mack World Series: 7/31-8/7 in Farmington, NM. Sponsored by the AABC, its a national tournament for regional winners and seems to consist of travel teams. This is my first cut at this data. I’m sure i’m missing local teams and showcases. Please let me know if you disagree with my characterization of the talent level of these teams (mostly taken by eyeballing the college commits to gauge the strength of the roster), if you feel i’m missing any major teams, or if you think a show-case or tourney is missing. Washington traveling to Los Angeles. And in said short series, with the Nats traveling to Los Angeles, they’d likely face Clayton Kershaw and Zack Greinke again in games 1 and 2. Kershaw: 8 innings, 3 hits, 14 Ks, 0 walks. Grienke: 8 innings, 3 hits, 11 Ks, 1 walk. There’s not a pundit in the game who doesn’t think the Nats aren’t going to win the NL East. That they’re in first place while their #1, #2, #4 and #5 hitters sit on the D/L is pretty amazing (or, perhaps more to the point, a pretty bad indictment of our division in 2015). But the toll is being seen; between outings against Kershaw, Greinke and (just before the all-star break) Johnny Cueto, we now see the effect of such a weak offense. MLB-wide Aces will absolutely dominate the Nats. To the point where we could have Cy Young himself throwing and not have a chance. If there’s just one or two legitimate hitters in your lineup, you can pitch around them and attack guys who otherwise would be in AAA or on the bench. As we just saw. The question is this: can the Nats offense turn this around? We have now seen this team make the playoffs twice, each time with the best record in the league, and then each time flail out of the playoffs while barely hitting. 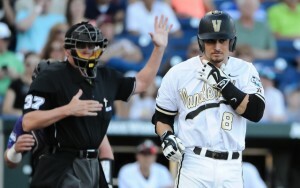 In 2012 they hit .232/.290/.393 and in 2014 they hit .164/.222/.258. Yes we plan on getting everybody back. Most of our D/L guys are on rehab assignments as we speak actually. Can they get their expected form back and make this team respectable on offense? Can Jayson Werth regain his stroke despite recovering from a broken wrist? Can Denard Span regain his batting stroke despite a chronic back issue? 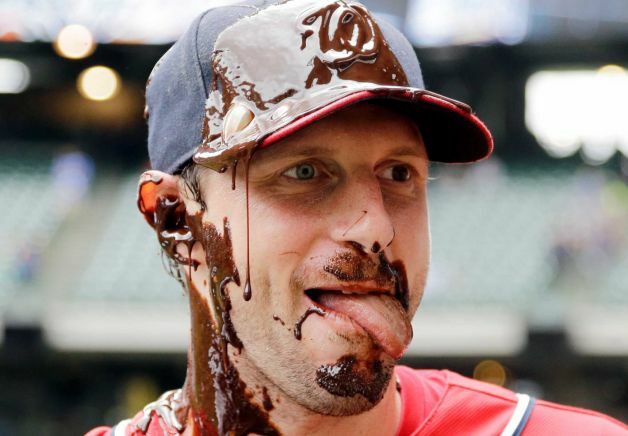 I’m less worried about Zimmerman and Rendon; they just need time and luck to stay on the field despite leg/foot issues, and both those guys profile as the kind of middle-of-the-order hitter that would give the Nats lineup some potency back (not to mention some protection for Bryce Harper). Will it be enough? Are you worried about looming playoff match-ups? Why do people think Montreal is a viable baseball expansion market? 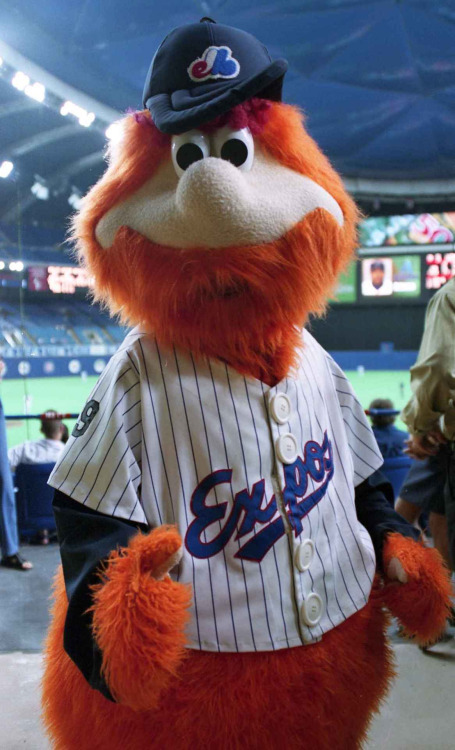 Don’t think we’re seeing Youppi’s return anytime soon. Jpg via Youppi’s tumblr page (yes it exists). Rob Manfred was caught on mike talking about expansion at this year’s all-star game. He reminded us that Montreal drew 91,000 fans to two exhibition games prior to this season’s start. Before we even talk about all the other roadblocks to expansion in the current MLB landscape (RSN deals, geographical ownership issues, the lack of actual viable cities, the lack of the cascading downstream need for an additional *twelve* minor league teams/twelve appropriate minor league cities to support two more MLB teams, etc), lets talk about Montreal as a baseball host city. Because we have plenty of evidence already telling us whether that city really can host professional baseball. From 1969 to 1976, Montreal played in “Parc Jerry,” with a capacity of just 28,456 for baseball. For the first few seasons, the team drew decently, averaging nearly 50% capacity. They bottomed out in 1976, going from a 75 win team to a 55 win team. In 1977, the team rebounded in both performance and attendance timed with the move to Olympic Stadium; their attendance more than doubled from 1976 to 1977. From 1978 to 1983, the team was successful on the field and in the stands, routinely placing 3rd or 4th in the league in attendance and placing 2nd or 3rd place in the division. This also included the Montreal franchise’s sole playoff appearance, a 3-2 NLDS loss in 1981. Suddenly after 1983, fans stopped showing up and the team stayed mediocre; they went from 3rd or 4th in the league in attendance to 8th at best, 11th out of 12 at worst. In 1991, the team was sold to a new ownership group, and a new wave of players made the Expos very competitive very fast (94 wins in 1993). However, fans remained ambivalent; even after the 1993 season as the team sat in 1st place for all of 1994 (the season eventually cancelled), attendance went from 44% of capacity to 48% of capacity. After the players strike, ownership and fan interest began to dwindle. Jeffrey Loria acquired the team in 1999; he failed to get media deals done for the 2000 season, failed to negotiate a new stadium deal, and attendance and fan interest showed: in 1998 the team was dead last in attendance and never left last place of the NL. Baseball attempted to contract Montreal (and Minnesota) in 2001, further adding insult to injury for the remaining Montreal fans. In 2002, MLB negotiated the 3-way transaction of Boston, Florida and Montreal, leaving the Expos as a ward of MLB. From 2002 to 2004, the franchise was plundered of its staff, its infrastructure, and its willingness to compete. Furthermore, to “combat low attendance” the team played a quarter of its “home games” in Puerto Rico at a stadium a fraction of the capacity of Montreal’s stadium. In their final seasons in Montreal, the Expos were averaging just 17-20% stadium capacity (not counting the two years traveling to San Juan). By way of comparison, the Nats first season was at 73% and their last three have not dipped below the 70% capacity marker. The Expos absolute best cumulative attendance season was 1983; the Nats have already drawn more than that on four different occasions. The Nats worst attendance season (2009), was still better than 31 of Montreal’s 36 seasons. The Nats already have the 5 best attendance as a % of capacity seasons. Montreal was dead last in NL attendance for their last 7 seasons in Canada. You have to go back another 14 seasons before you even find a time when they were in the upper half of the league of attendance. Montreal was asking for a new stadium as early as 1999-2000, and ran into roadblocks to get public funding in the amount of $150-$200M. Now new stadiums routinely cost 4-5 times that. Why would anyone think that Montreal would finance something now? So, again, considering the known attendance and stadium issues, and not even addressing the RSN and currency issues, why again does anyone think that Montreal is a viable city for Baseball right now? Yes its a large city (it’d be ranked somewhere in the 10-15th largest city range if it acquired baseball), and yes its a “wealthier” city since its Canada and it houses their seat of government. But, they *had a team* for 30+ years and didn’t support it, refused politically to build the infrastructure to keep it, and had no local ownership interested in keeping it. Sometimes I hear about other international expansion sites. Puerto Rico? Mexico City?? Do people not understand the financial needs to support a professional baseball team? You need *wealthy* cities, not places where the median income is a fraction of what it is in the USA (by some measures, Puerto Rico’s is about 30% of the US and Mexico is just 10-15% of the US). Portland? San Antonio? Charlotte? Virginia Beach? All nice mid-sized American cities, in some cases already hosting AA or AAA teams. All *smaller* than some of the smallest markets already hosting MLB teams and struggling financially (places like Milwaukee, Kansas City, Pittsburgh, Tampa, etc). So I’m not entirely sure how these are great expansion alternatives. The last two times baseball expanded, it was to major, growing cities that were mostly deserving (Denver, Miami, Phoenix and Tampa). I dunno; every time I hear about expansion in baseball I laugh. We still havn’t even come close to figuring out the most recent franchise relocation issues (aka, Washington-Baltimore’s RSN mess) and Oakland & San Francisco can’t agree on who “owns” a city that’s basically equidistantly far away from both stadiums (San Jose). Now we want to shoe-horn in two more franchises onto a landscape map that’s 100% spoken for? The reality of the situation is this: the two places it makes the most sense to put an additional team are the two largest cities in the land. New York and Los Angeles. Stick a team in Brooklyn and in Riverside and carve up the massive markets in those two cities. And it’ll never, ever happen.